For current Schwartz & Schwartz clients, we’ve assembled the most requested links, info, and downloadable forms on this page. Need more help? 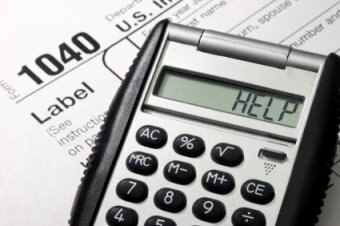 Give us a call at 781.938.0045 or email admin@schwartzaccountants.com – we’re happy to help! From points North and East, Take Route 95/128 South, Exit 36, Washington St., Woburn. At bottom of ramp, bear right. Go up the hill, then bear right onto Washington St. (If you go straight, you’ll end up in the Kohl’s parking lot.) Go over the highway, through 2 lights, then follow for approximately 1/2 mile further, passing a Dunkin Donuts and a Staples. At next light, by the LukOil Gas Station, bear right onto Cedar Street. Go 100 yards, and on the right is the entrance into Chestnut Green, which consists of two green colonial buildings. Our office is located in the building on the left, 2nd floor, next to the elevator,Suite #54. Click here to access your Client Portal. You may pay your invoice through the “My Invoices” section on your Client Portal’s home page (on the left side of your Home screen). No portal? You can also pay your fees through PayPal. Complete the Authorization To Release Form, sign and return to our office with payment. You can fax the form to us at 781.938.0185 and pay the fees online through PayPal.